My friend, Kathy, brought these to a local Weston Price chapter meeting and I’m glad I could try them, because it’s a type of cookie that I wouldn’t have believed how good they are until tasting myself. Kent liked them, too, but said they reminded him of a Christmas cookie…oh well, now you have a new Christmas cookie recipe. This is from the Nourishing Traditions cookbook (see my resources page for where to find that book and other Real Food books). 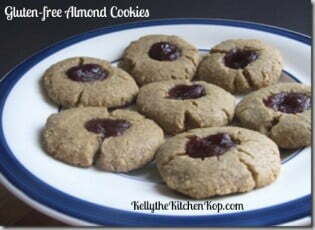 They have the texture of a peanut butter cookie, but are gluten-free, and also have much less sugar. Not only that, the sugar called for is unrefined! All that might sound like the makings of a dry, tasteless cookie, but they are really good, and SUPER simple and fast to make. Guess what else? The recipe calls for Arrowroot flour. 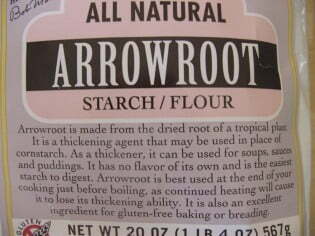 “Arrowroot flour, the only starch with a calcium ash, is a nutritious food, obtained from the fleshy root stock of a tropical American plant. It is an easily digested food well fitted for infants and the convalescent. Arrowroot was once widely used in baby formulas as a superior carbohydrate, experience having shown it agreed with babies better than any other starch or sugar. We now find the reason. It is the only starch product with a calcium ash. In this regard, the calcium chloride, in the form of calcium found in arrowroot starch, is very important in the maintenance of proper acid and alkali balances in the human body. Arrowroot only thrives on tidal flats where the sea minerals are available. Its known health-building properties may be due to trace minerals from the sea, as well as from the calcium it gets from the sea water. If it is used in ice cream formulas in place of cornstarch, arrowroot imparts a vanilla-like flavor, a smooth texture. Arrowroot as it comes to you is not a refined product; it is simply the dried and powdered root.” Royal Lee, DDS, Journal of the National Academy of Research Biochemists. NOTE: The recipe below is for a single batch, but I could fit a double batch in my 10-cup food processor – it just took a couple times of stopping to push the dough down a bit. A single batch makes about 2 dozen, and I could fit that amount on each stainless steel cookie sheet, because they don’t spread out too much as they bake. Place almonds in food processor and process to a fine meal. Add remaining ingredients, except the jam or extra almonds, and process until well blended. (At this point I added a little water because my dough seemed too dry.) Form dough into walnut-sized balls and place on buttered cookie sheets. Press an almond into each. Bake at 300* for a total of about 20 minutes. After 5 minutes in the oven, press cookies down lightly with a fork and finish baking. Let cool completely before moving to an airtight container. Store in refrigerator. Bake for 5 minutes at 300*, make an indentation in the cookie (I used my thumb), and fill with a little bit of jam. Bake another 10-15 minutes or until golden brown. I think raspberry tastes best, but Kent likes strawberry. Our 10 year old suggested a chocolate kiss in the middle instead of jam, and this would also be good as a Christmas cookie. Place almonds in a food processor and process to a fine meal. Add remaining ingredients, except 18 almonds, and process until well blended. Form dough into fingers and place on buttered or parchment lined cookie sheets. Press an almond into each for a finger nail. Bake at 300 degrees for about 20 minutes. Let cool completely before removing to an airtight container. Store in the fridge. I would love the chocolate pudding recipe with arrowroot!!! I don’t suppose the sugar could be substituted with honey? That would be to liquidy I imagine? I’m not sure on using honey, but if you try it, please let us know, thanks! Thank you! I ate some meatballs that were made with wheat and I’m totally paying the price! Ouch! I make all my childhood fav’s (choc chip cookies, pancakes, etc) with a direct substitute of rice flour and xanthum gum (I tsp per cup flour) and then also add ground flax, hemp seed, coconut etc to ‘thinken’ the batter…always turns out great! Are you aware that xanthum gum has corn in it? So instead, use guar gum! I have a terrible corn allergy, and the more I read, the more I realize that corn has been added to almost everything! wow! I don’t tolerate any of the grain substitutes well- especially rice flour and potato starch. It’s all soaked/sprouted for me. I have yet to find a source for organic raw peanuts. Those look delicious! I am so excited to try these! I have a child allergic to wheat and eggs and this doesn’t use either! Yeah for more options! Thank you! Country Life Natural Foods has a great price on arrowroot powder. 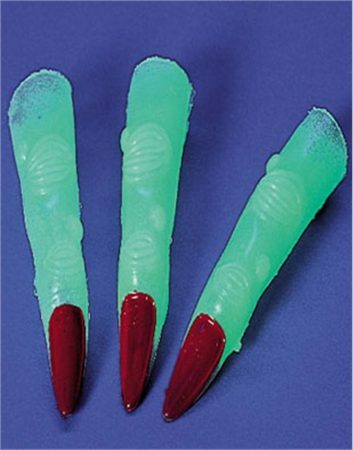 We made these (minus the jam) at Halloween as “monster thumbs” and they were yummy!!! Thank you for posting this recipe. I have Nourishing Traditions but don’t use it enough for sweets;-) I work with arrowroot for everything that calls for thickening, or as a substitute in baking – like here. Heidi Swanson also has a great chocolate pudding recipe using it. I make these cookies when I get the odd cookie craving and they’re very yummy! I’ve never gotten the dough to hang together though unless I add an egg to it. And for those who now have a bag of arrowroot powder and nothing to do with it – it makes a good substitute for regular flour for dredging stuff like chicken cutlets. You can also use it to thicken sauces. I have a small bag of arrowroot powder that I boughta lifetime ago. I have only used it in gravies. I’m so glad to know it’s healthy! I can’t remember why I bought it but I’m so glad I did! I wonder if the Asian market sells arrowroot powder. I’ll have to check it out. I bought some palm sugar at the Vietnamese market for $1.58 a pound. Squeaky, thanks for the great tip! Emily, it IS a challenge, isn’t it, and so fun when you pull it off! Next time I want to try coconut flour – I’ll bet that would be good, too. yum! i am also learning/experimenting with gluten-freeand grain-free baking, it’s a fun challenge not to rely on white or even whole wheat flour to create something delicious that even my discerning kid will eat! I have the same question as Wardeh, is Arrowroot Powder the same as Arrowroot Flour? I have made things that called for Arrowroot Flour with Arrowroot Powder and it worked, but maybe there is something else I am supposed to be using? Kelly, these look and sound good! By the description of it being powdery, I would think that arrowroot powder is the same as arrowroot flour? What do you think? I have some of the former – I’ve always called it arrowroot powder – but perhaps I’ve been naming it wrong all along! Thanks for sharing your recipe and the notes. Great recipe! I always purchase my arrowroot flour at the Asian market because it is by far less expensive than when you go to a traditional American market to buy this “specialty flour”.